We met up with some friends at Jubilee Farm for our annual pumpkin patch visit. 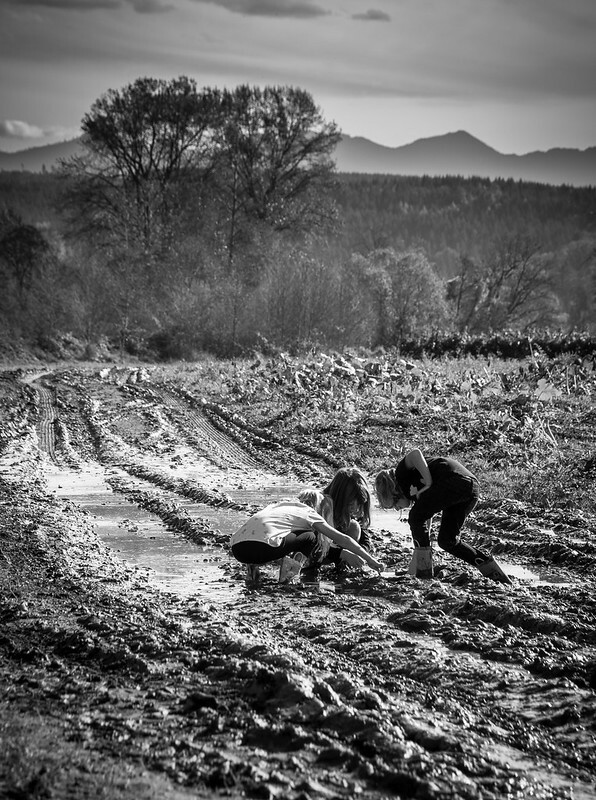 Although the sun was shining and it was summer-warm, days of earlier rain made for lots of mud for our girls to play in (and get stuck in). Kids just can’t stay away from mud—and we didn’t discourage them!